On a Monday evening in November 2015, I deputized for Sally Morgan at a reception at the Mansion House for the launch of the Royal Society’s 2015 pairing scheme. 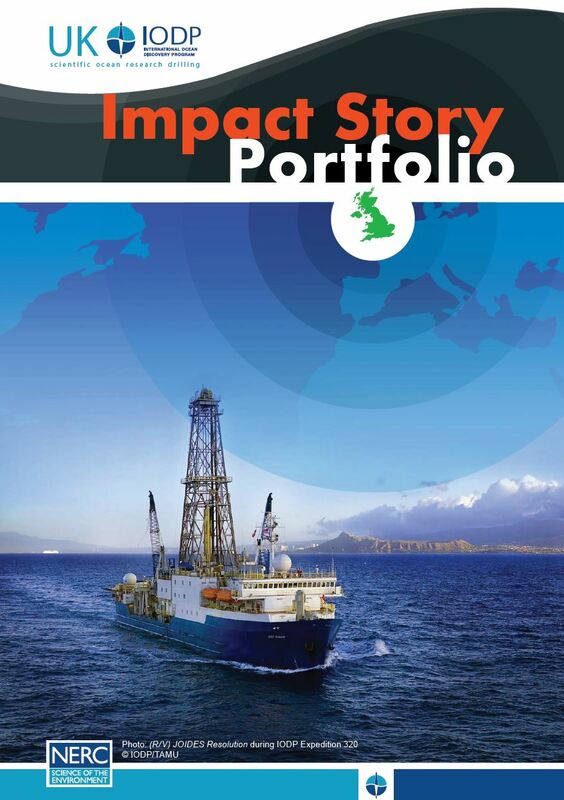 Having successfully applied for the scheme, Sally (representing the UK IODP) was otherwise engaged pushing the scientific and engineering frontiers on an International Ocean Discovery Program (IODP) expedition. She was working as part of the science party out in the middle of the Atlantic on Expedition 357, with no option to return to London. The Royal Society Pairing Scheme has been active for over 15 years and enables policy-makers and scientists to spend time in a very different working environment: the scientist in Westminster and the policy-maker in the researcher’s institute. To start on a slightly downbeat note, Sally was invited to the launch because although her application had been shortlisted, she had not been successfully paired with a parliamentarian or civil servant on this occasion. Talking to other scientists and to the representatives of the Royal Society attending the event, I discovered the scheme is hugely oversubscribed and I was struck by the diversity of researchers: from medical researchers to ecologists to computer scientists, who were not successfully paired. The scheme offers the opportunity for scientists to learn how both parliament and government operate and to gain a better appreciation of the potential for their research to inform policy decisions. The event was a very interesting experience, not least because it certainly opened my eyes to the value of the scheme for both the scientist and the policy-maker. Nicola Blackwood MP, Chair of the House of Common’s Science and Technology Select Committee, noted that an MP concentrating on one aspect for a few hours, let alone a week was challenging but she had found the scheme highly rewarding! She had been paired with a scientist on three occasions and reflected that, not only did the experience provide an important insight into an individual scientist’s world, it also gave her an important point of contact to engage in discussion about policy in the future. Dr Julie Maxton, Executive Director of the Royal Society, was speaking on the importance of science for policy-making immediately following Paul Nurse’s report on UK Science Funding. Jo Johnson MP, Minister for Science and Universities, alluded to the intense workload surrounding the autumn Spending Review and spoke about the Government’s commitments to science funding. At the reception a number of organisations attended to discuss how they provide and scrutinise scientific evidence for policymakers. I was particularly impressed by the information provided by the Parliamentary Office of Science and Technology. POST provides clear executive summaries of scientific evidence on a range of topics to inform policymakers and led me to reflect on how I might engage with policymakers in the future.